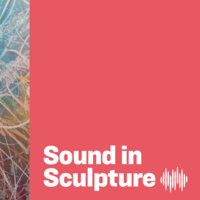 Sound in Sculpture returns for a fifth year, once again as part of the dynamic, city-wide Fusebox Festival! This event invites students from the Butler School of Music to write and peform music inspired by work in the Landmarks collection. This year, all 6 composers will compose original music inspired by the same work of art, a 4,000 square-foot mural by Brooklyn-artist José Parlá. There will be two rounds of performances with a reception to follow. From valet & off-campus: Enter through the main entrance of the AT&T Hotel and Conference Center on University Avenue. Go up one floor to level L, cross the courtyard into Conference Center level M2 lobby, go down one level to M1 and follow the hallway into Zlotnik Family Ballroom. Take the escalators or elevator down to the pre-function space of the Zlotnik Family Ballroom. From AT&T Hotel and Conference Center Garage (CCG): For most direct route, go to Conference Center elevators on the west side of the parking garage and take them up to M1. Follow the hallway to the Zlotnik Family Ballroom. Take the escalators or elevator down to the pre-function space of the Zlotnik Family Ballroom. Parking is available at the AT&T Conference Center Garage (CCG). For additional parking options and parking for visitors with disabilities please visit Parking and Transportation Services.